One of my students at American International College, Kayla Hunkin-Clark, asked me to photograph her rugby team in action. It was my first time photographing the sport and I loved it. Domo Hammock makes a tackle. 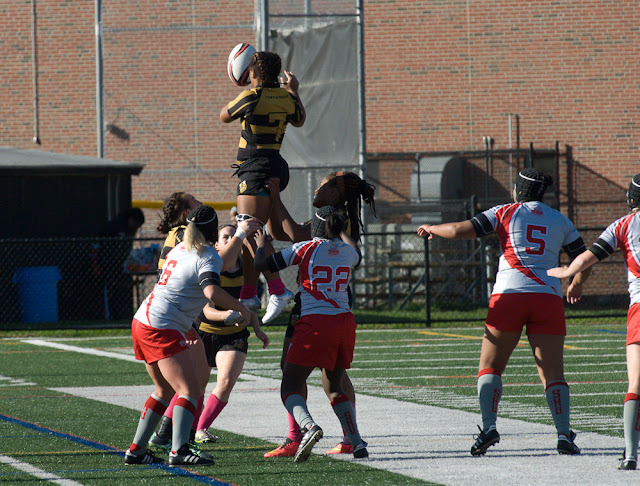 Fair Patton and Oriana Johnson lift Domo Hammock in a line-out. Anne Harvey places the ball while in a ruck. American International College dominated Sacred Heart University, 147 - 7. Anne-Laurence Harvey makes steps and strides. In my Visual and Digital Arts courses, Kayla works hard. 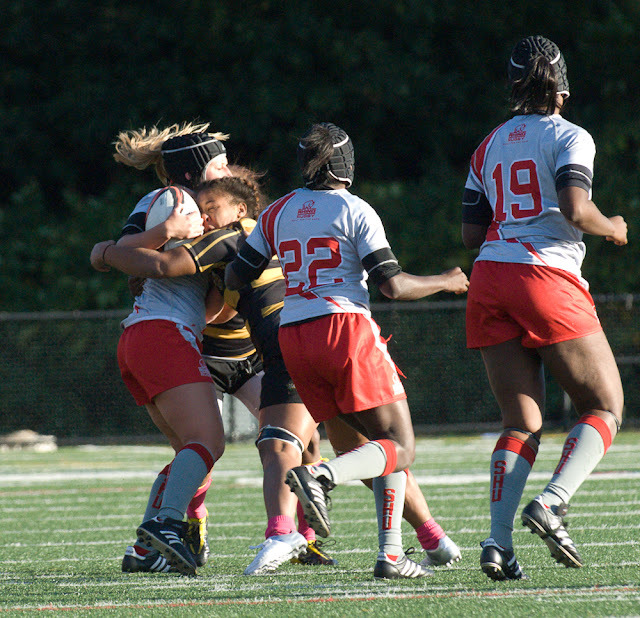 At a full sprint, Kayla breaks through all defenders. She consistently and creatively applies the knowledge she gains. 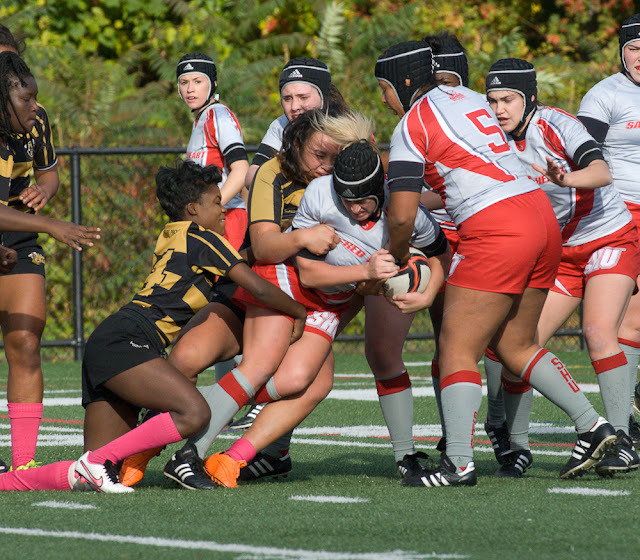 Assisted by Hilaria Lymas, Kayla makes a tackle. I enjoy learning about my students' non-academic interests, to learn what makes them tick, to see them pursuing their passions. 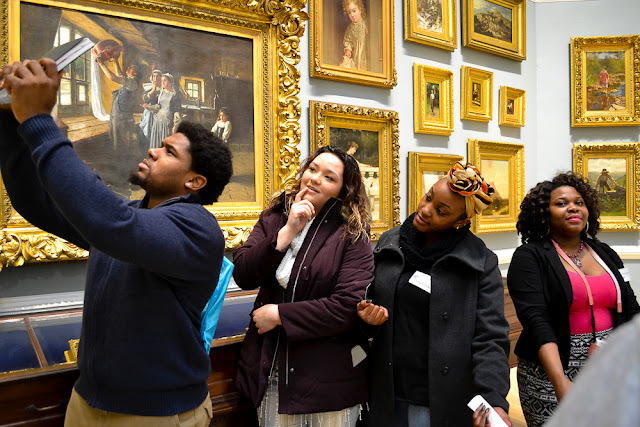 Studying art and history, Kayla (second from left) and classmates, act out the roles of people in a painting. One day Kayla came into my office, proudly pointing out the stitches in her head, nochalantly saying something like, "I think I got cleated." 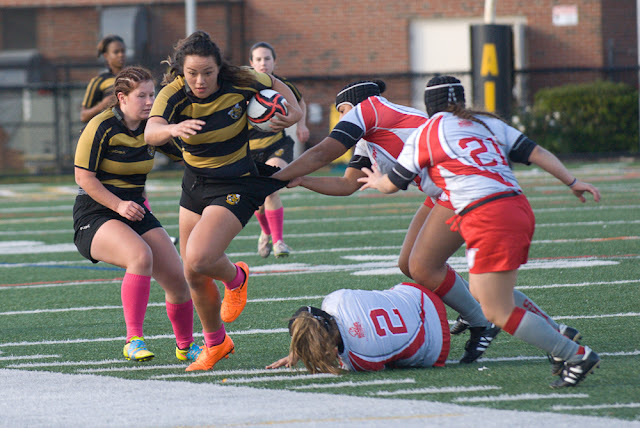 A big thanks to Kayla for helping me write the photo captions, for teaching me rugby terminology. 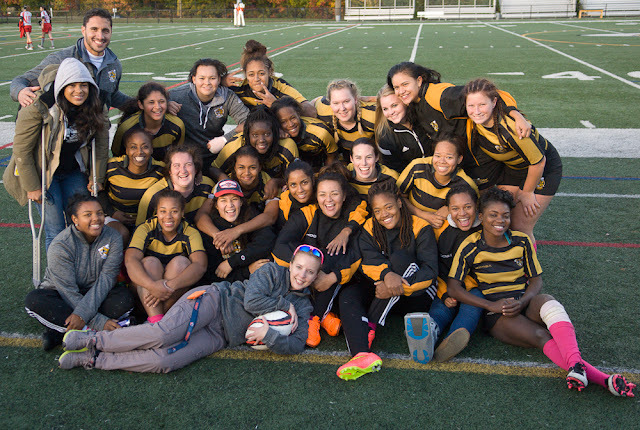 About this photo Kayla wrote: A team to be proud of that shows respect, takes responsibility, has dedication and accountability, and is trustworthy. We could not be the team we are today without our coach Dimitri Efthimiou. 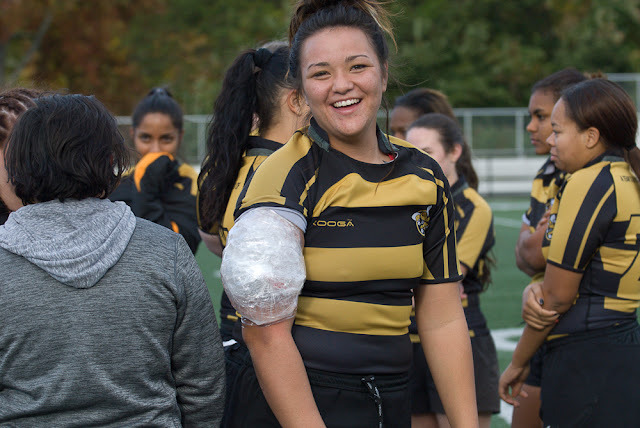 Aww..I'M SO VERY PROUD OF YOU KAYLA..YOU'VE DONE OUR FAMILY ESPECIALLY YOUR PARENTS AND SIBLINGS PROUD KEEP REACHING FOR THE STARS WE LOVE YOU DEARLY..
John, what a wonderful tribute to this dedicated team...your photographs capture the moments, and your captions bring them to life. Thank you for sharing this!